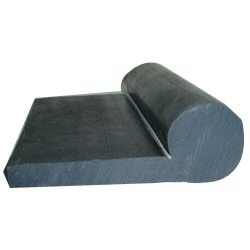 We are leading manufacturer of Aluminum Section Rubber in Nagpur. We are one of the best manufacturer of Aluminum Section Rubber Beading in Nagpur. We are leading manufacturer of Wool Pile in nagpur. Our product range includes a wide range of Frame Rubber Beading. Offering you a complete choice of products which include Rubber Pad. We are leading supplier of China Clay in nagpur.